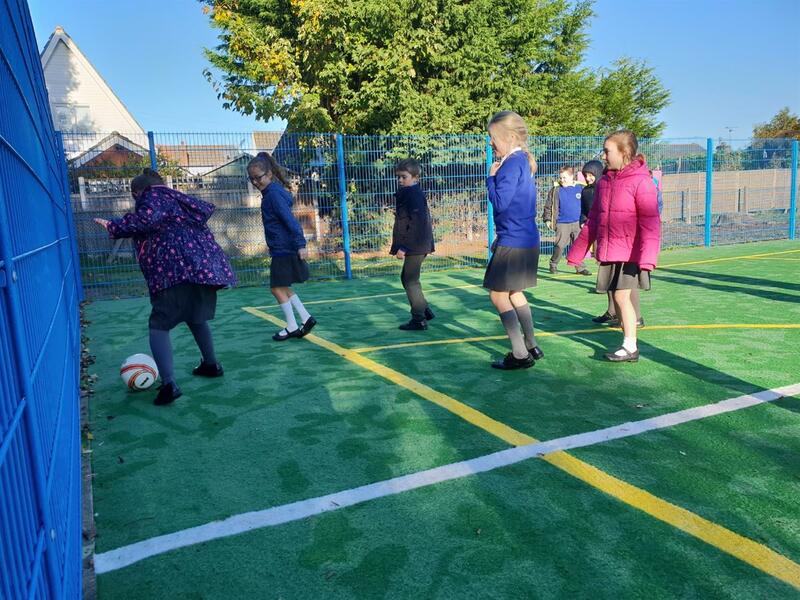 Future sports stars in the making at Tarvin Primary School in Chester had a wonderful surprise recently: a new Multi Use Games Area - installed by Pentagon Play and officially opened by retired professional footballer and TV pundit, Jamie Carragher! Jamie cut the ribbon to the sound of cheers as the children couldn’t wait to get playing! 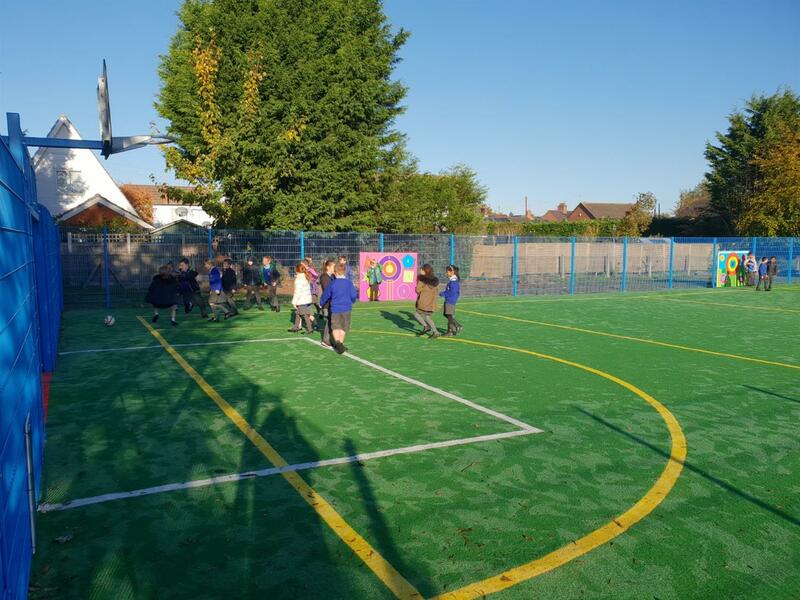 The new MUGA has completely transformed the physical education provision and outdoor games and playtime offering at Tarvin Primary. Our Owner and Founder, Andy Snell, met with the school’s head teacher, Andrew Davies, to discuss the school’s sporting needs and to see the project through to fruition. Before the installation, we removed and disposed of the old timber fencing, posts and uneven surfacing. There was a problem with roots making the ground impractical for sports and team ball games, but we were able to remove these and level the ground perfectly, ready for the new all-weather surface. 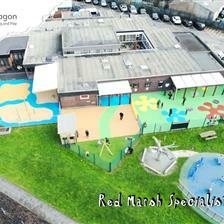 Drainage and waterlogging had also caused difficulties in the existing playground. 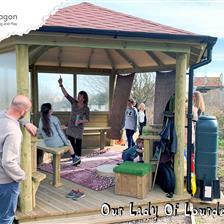 The school needed an area that would be self-draining and able to support lots of children running around all throughout the year without getting soaked! We raised the existing draining as well as installed some new drainage. With the drainage works complete, we installed a geotextile membrane to protect the pitch surface by preventing any weeds and plants from growing through. 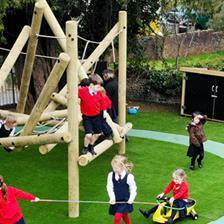 The pitch itself was installed using our beautiful, dark green Multi-Sport Artificial Grass. 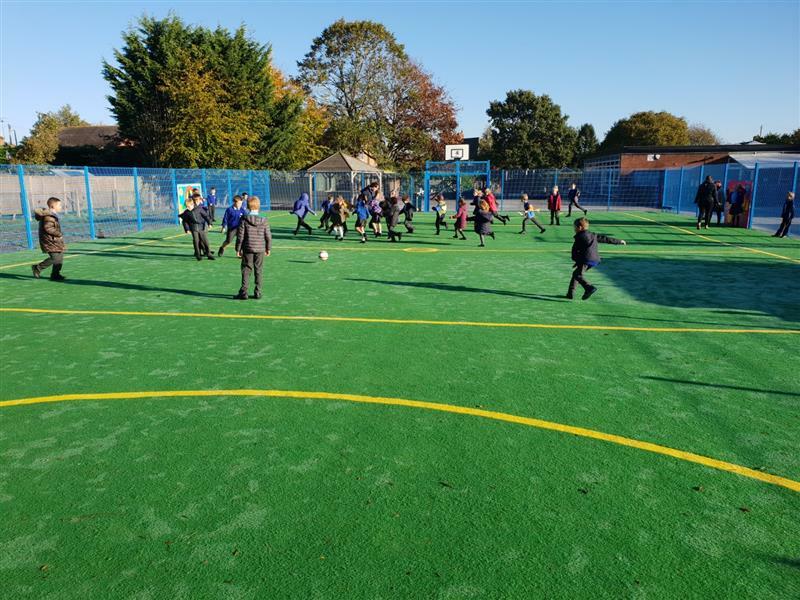 It’s a durable, robust artificial grass that is soft to the touch and looks convincingly natural, yet stands up to frequent use for sports and ball games (it’s been rigorously tried and tested beyond FIFA standards!). 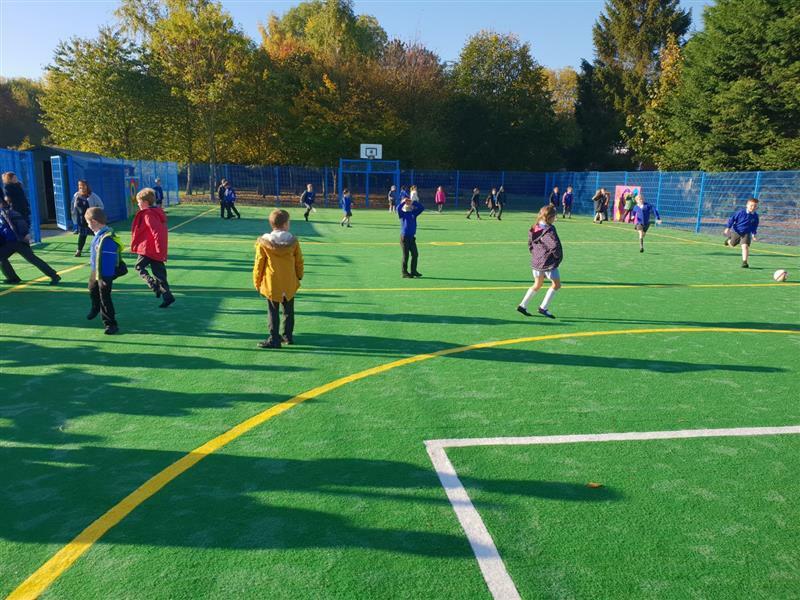 We enclosed the area with our 2m high, blue Twin Mesh Fencing for safety and security, not only to designate the area but also to prevent flying balls from entering the rest of the school grounds! The double gate pedestrian entry allows teachers and staff to control flow and open up the area as required. Bright white and yellow netball/football markings, clearly visible on the ground. The contrast in colour helps to make this zone inclusive, ensuring all children, including those with sensory and visual impairments can easily use the space. Goal recesses at opposite ends of the pitch, with red and blue Saferturf surfacing in each to clearly designate the goal area and of course to identify teams! Above these recesses we installed goal shooters, so the entire court can be used for a variety of team ball games. A combination of Goal Targets and Shapes Targets along the long edges of the fencing, featuring cricket stumps, and numbered targets to practice hand-eye coordination, making this a true multi-sports zone. Parents have already been commenting on how wonderful it is to see this facility in place at Tarvin, supporting not only lots of future sports stars, but many more happy and healthy kids too. With the improvement of sports funding now available for schools, including the PE and Sports Premium, fantastic sports facilities such as the MUGA at Tarvin Primary School are now much more of a realistic option for many primary schools across the UK. If you are interested in finding out whether your school could benefit from a new Multi Use Games Area, and how we can help you to achieve this, please do not hesitate to Contact Us Here for a free consultation. Alternatively you can call 01625 890 330 (northern office) or 0117 379 0899 (southern office).